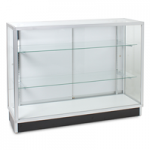 If you’re looking for the ideal way to show off prime stock in an optimal location in your retail store, then check out our range of aluminium framed counter showcases. 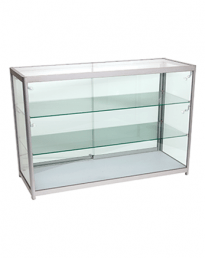 These glass counter display showcases create a perfect shop counter display, allowing you to securely place valuable, eye-catching or exclusive products on glass shelving and under LED lighting. 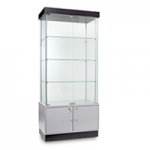 These display cabinets come in different sizes and styles so that you can arrange different formations to suit your retail needs and space requirements. 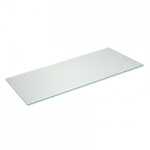 Highly functional, attractively designed and easy to use, aluminium framed counters will brighten up any store environment and offer an easy way to increase sales throughout the year. 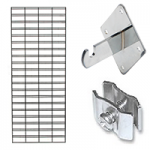 What are aluminium framed counter showcases? 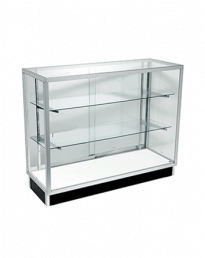 Aluminium showcases are display cabinets that can also be used as point of sale counters. 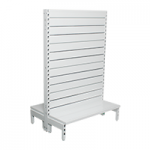 Available in a range of styles and sizes, they are a great addition to any retail outlet selling expensive, rare or easily damaged merchandise as it gives these stores extra, safe display space. 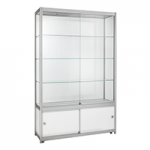 Cabinets come with a wood melamine base, clear glass body and sturdy aluminium frame and are fitted with glass display shelves and lockable doors. 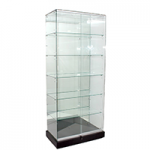 Aluminium-framed glass cabinets are the perfect retail solution for stores looking to maximise their display space as well as those who want to spruce up the premises with some visually alluring and innovatively arranged displays featuring their best stock. 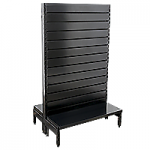 Cabinets can be placed anywhere on the shop floor, equally well suited to the front of store next to the entrance (where they can help lure in passers by) and the back of the store (encouraging the customers to browse more products). 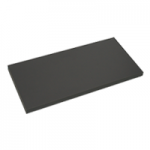 The counters can be used on their own or linked together using smaller corner counters to create a bigger display and sales space for larger stores. Perfect for all kinds of merchandise including valuable jewellery, rare antiques, fragile ornamental goods and limited edition clothing or tech gadgets. 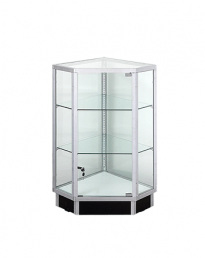 Safety glass counter showcase – this cabinet comes with extra thick 7mm safety glass, making it perfect for displaying valuables in a busy retail environment. Fitted with glass top and two interior adjustable glass shelves along with lockable sliding doors on aluminium rail. 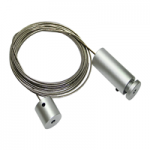 Available in lengths of 1200mm, 1500mm and 1800mm. 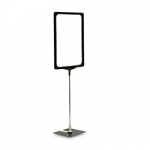 Extra vision display showcase counter – similar in design to the safety glass counter showcase model but designed in extra vision style to increase stock display and sales. 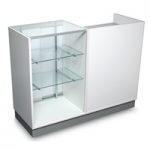 Fitted with lockable 6mm sliding glass doors for easy access of merchandise. 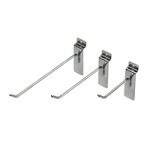 Brilliant for showing off precious jewellery or attractive ornamental goods. 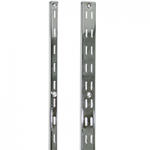 Available in lengths of 1200mm, 1500mm and 1800mm. 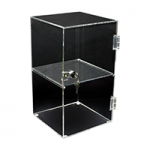 Extra vision 45 degree corner showcase – this cabinet design is fitted with 45 degree angled sides so that it can join together with other aluminium-framed shop counters to create a larger point of sale space that can accommodate more merchandise, more customers and more till space. 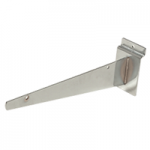 Comes with white melamine doors on an aluminium tracking rail. 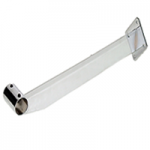 Available in one size – 1335mm (length) x 450mm (depth) x 965mm (height). 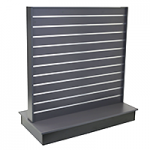 Extra vision 90 degree display corner showcase – smaller 450mm long corner model with 90 degree angled sides so that it can join together with larger models to create a shaped retail sales perimeter. 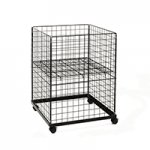 Fitted with two small interior shelves and a safety glass swing door with a cam-lock. 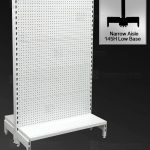 Larger and busier stores can create their own unique sales spaces using our showcase counters together with our corner display cabinet counters. 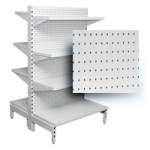 The cabinets are designed to join together to create a bigger display, offering every more merchandise space and a chance to have multiple sales tills alongside each other. 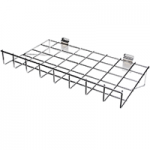 Utilize the 90 degree corner cabinet to link display counters in an L-shaped or U-shaped formation. 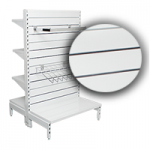 The 45 degree cabinet can be used to create a wider C-shaped sales space. 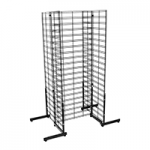 For a longer sales and display space in a straight line, simply use two or more standard display showcases placed end to end. 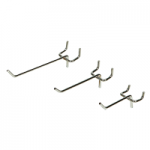 Jewellery stores – top-end jewellers sell a great many products valued at hundreds and even thousands of dollars. 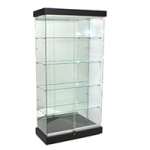 These display cases, which can be fitted with alarms, are a great way of securely highlighting products such as gold watches, diamond rings, earrings, bracelets and more. Gift shops – can effectively display valuables and delicate items such as stationery sets, commemorative ornaments and china cutlery in a way that ensures that items don’t get damaged or shop soiled. 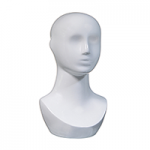 Antiques and collectibles stores – these shops usually have an amazing and varied range of products and will always have a few rare collectibles, early editions and delicate trinkets that can’t be risked on display with more everyday finds. 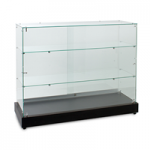 Glass display cabinets are ideal for these. Electronics stores – the newest and most exclusive mobile phones, laptops, games consoles and other tech gadgets can be showcased safely under LED lighting to draw the attention of gadget fans. 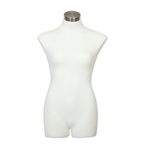 Designer boutiques – a stylish glass counter cabinet can put the finishing touch to a fancily laid out clothing boutique, showcasing the most exclusive folded garments or accessories. Museums and galleries – glass display showcases can also provide a great focal point in non-retail environments such as museums, galleries, town halls and even schools to show off rare artefacts, trophies and memorabilia. 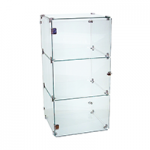 Visual appeal – glass counter displays make your point of sale area look more attractive, thus making the retail transaction experience more enjoyable for shoppers as they can browse while they wait to make their purchase. 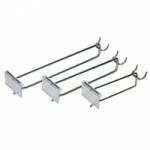 Counter displays placed near to the store entrance can offer the added benefit of drawing more customers into the store. 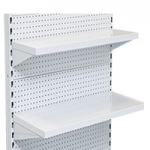 They layered shelves inside the units give potential for creative displays while the LED and halogen lighting options can boost displays and give them extra life. 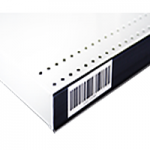 Secure display – these display counters solve the problem of how to showcase the best and most expensive goods you have without leaving them vulnerable to theft or damage. 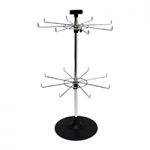 Displays remain locked so customers can’t handle products unless supervised by a member of shop staff, so you won’t need security staff or eagle-eyed shop staff constantly monitoring displays. 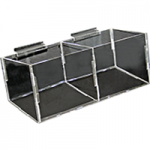 Robustly designed – counter displays are made from highly durable materials. 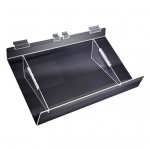 This includes thick toughened glass that can easily withstand day-to-day impacts, sturdy anodized aluminium frames keeping everything in place, and a solid melamine wood base complete with kick board. 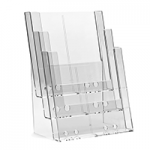 Glass displays have the additional benefit of looking more fragile than they actually are, which encourages careful browsing (no bad thing!). 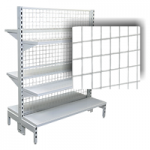 Time saving – as products are kept under lock and key, displays won’t get messed up on a day-to-day basis so you’ll save a lot of time having to rearrange everything at the end of every working day. 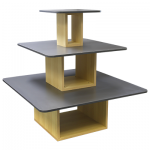 You’ll only need to rearrange displays when items sell, which should be a straightforward task of replacing one product with something similar, or if you decide you want to change a display. 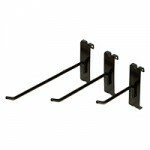 Cabinets are also easy to assemble and can be easily cleaned with a cloth and a small amount of warm water. 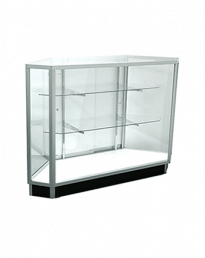 Safety glass counter showcases – ranging from $699 to $1089 plus shipping costs. 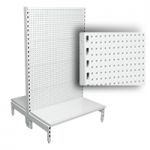 Extra vision display showcase counters – ranging from $512 to $684 plus shipping costs. 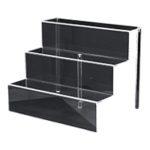 Extra vision 45 degree display corner showcase – $269.95 plus shipping costs. 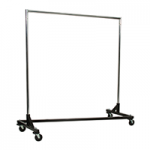 Extra vision 90 degree display corner showcase – $545 plus shipping costs. 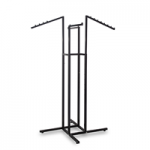 If you are interested in any of our display showcases or any other products, get in touch now by phone on 02 9608 5122 or email at sales@shopfittingsdirect.com.au. 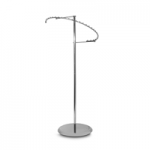 We have a vast range of modern shop fitting products and accessories and are able to supply everything from clothing racks to aluminium showcases to Australia-wide businesses at competitive prices.